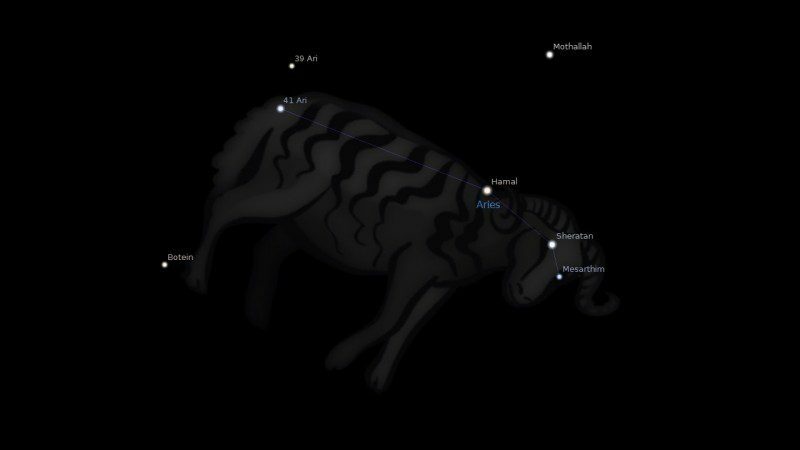 Fixed star Sheratan, Beta Arietis, is a 3.7 magnitude binary, pearly white star in the right horn of the Ram Aries Constellation. 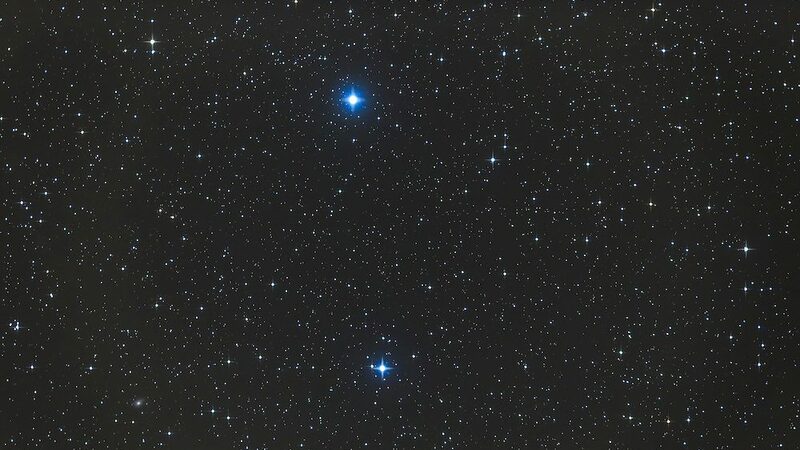 The traditional name Sheratan is from the Arabic الشراطان (aš-šarāţān) which means the two signs, a reference to the star having marked the northern vernal equinox together with Mesarthim, Gamma Arietis several thousand years ago. 1. Fixed Stars and Constellations in Astrology, Vivian E. Robson, 1923, p.208. 2. Fixed Stars and Their Interpretation, Elsbeth Ebertin, 1971, p.6. 3. The Living Stars, Dr. Eric Morse, 1988, p.32. 4. Star Names: Their Lore and Meaning, Richard H. Allen, 1889, p.81. 6. The Fixed Star Health and Behavior Imbalance, Ted George and Barbara Parker, 1985, p.17. Hi Ivana. It would be worth finding out more detail about which planet. You can find the degree of each planet in your horoscope here: Free Chart Maker.